18 December 2017, at 12:00a.m. 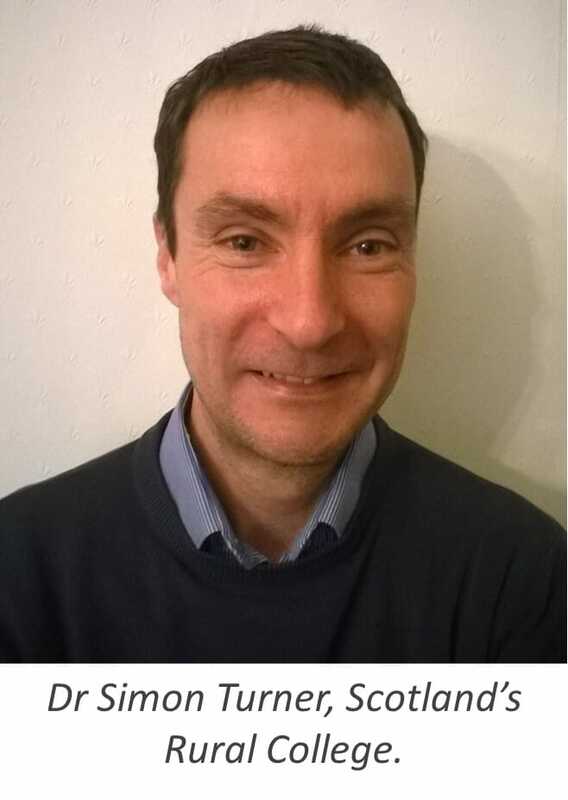 Presenting at a recent meeting of the North Yorkshire Pig Discussion Group, Dr Simon Turner, based at SRUC (Scotland’s Rural College), posed the question: “What determines pigs’ fighting and how do we exploit this knowledge to stop them?”. Pig industry reporter, Stuart Lumb, discusses the latest research on the incidence of aggression in pigs as presented by Dr Simon Turner. Research on this highly important topic has been ongoing for 40 years but we are still no nearer finding the cause. Why is this? Well, aggression is totally natural in wild pigs - its presence is just much more prevalent in domesticated pigs. In the wild, pigs live in litter groups and if mixing does occur it takes place gradually and pigs have the space to retreat (not the case in commercial situations). Piglets from different litters also exhibit “play-fighting” in the first couple of weeks of life which does not take place in commercial pigs since they are not allowed to mingle before weaning. Pigs will always want to establish a pecking order – a behaviour that is seen even in feral pigs and has been going on for thousands of years. So why bother about aggression? Pigs, when mixed, will fight, which stresses them. This also impacts on the immune system and increases the risk of disease. Fighting also results in wounds which can lead to infection – plus, fighting uses up energy which could be better used to improve feed conversion ratio (FCR) and daily live weight gain (DLWG). Fighting in pregnant females has an impact on the foetuses via the placenta and eventually the piglets; gilts that have been “beaten up” in pregnancy give birth to piglets that show reduced DLWG after weaning. These piglets also end up being poor mothers and have been observed savaging their offspring. Addressing this issue is very important as in one population of pigs studied, those with genes for FCR and DLWG also had genes that made them aggressive so, inadvertently, geneticists may be selecting more aggressive pigs. Allowing piglets to mix whilst suckling helps to reduce aggression at weaning – maybe multi-suckling needs re visiting – a practice that is occurring abroad. Easy access to feed, i.e. plenty of trough space, eases the kind of ongoing aggression that we see in groups that have been together for a while. Reducing light levels has proven to be less effective. Tranquilisers are used in the USA but are of limited value. Increasing space helps but keeping fewer pigs in the pen has cost implications, i.e. reduced throughput, which could mean heating is required in very cold weather to maintain FCR and DLWG. With sows and gilts, barriers can sometimes help as they can hide behind them. Rather than spreading straw for sows, it is suggested that leaving the sows to break up big straw bales can be helpful as it distracts bullies and gives bullied pigs something to hide behind. Minerals and amino acids may be implicated in aggression (ref salt and tail biting). Adding more magnesium to the feed may help reduce aggression, but more definitive research is required to support this theory. Tryptophan is an amino acid and is a precursor to serotonin and serotonin (involved in the transmission of nerve impulses) which has proven to significantly reduce fighting. Tryptophan supplementation before mixing may help reduce fighting but the ideal dose rates and time of administration are still being researched. There is a great deal of variation in terms of aggressiveness between pigs of the same breed which is good news for geneticists, with the heritability for fighting being around 0.43 (medium). The heritability of bullying is lower at around 0.31. Thanks to genomic selection, it is possible to screen out aggressive animals, and in fact, Dutch researchers are selecting lines of pigs that grow fast but show social behaviour that allows their pen mates to grow fast as well. We are very much stuck between a rock and a hard place with this issue. Welfare is never out of the headlines these days – images of pigs fighting don’t portray a very favourable impression of our industry from a consumer viewpoint, and so finding the cause or causes of aggression has to continue to be a major research priority. It’s vital that pigs are bred to grow faster. We live on a “Hungry Planet”, with competition for feedstuffs, so it is also vital that improving FCR is a major priority. Yet, ironically, selecting for precisely these traits is also potentially increasing aggression. Gains on saving feed might be lost because we have to stock our pigs less densely and so throughput suffers. Selecting lines on the basis of low aggression offers potential as well. Hopefully the areas of research flagged up by Dr Turner will soon yield positive results and geneticists will be able to breed fast-growing and feed efficient pigs which, significantly, are also the best of friends. PhD student, Rachel Peden, is studying the economic implications of aggression and is working with producers to understand the incidences of aggression and fighting on their farms. The aim of Rachel’s work is, ultimately, to identify the management methods that reduce aggression, whilst maintaining a productive, cost-effective system.